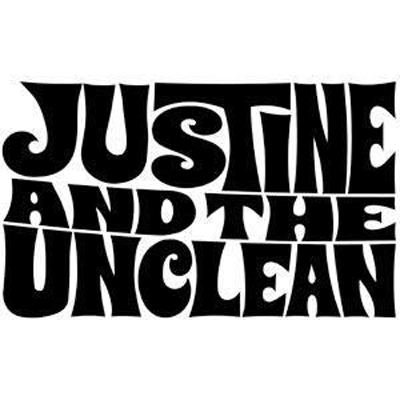 The Unclean are Boston music heavyweights, including Justine Covault (Malachite, Grand Theft Auto, Quest For Tuna) as lead vocalist, guitarist, and songwriter; Justine’s partner in crime from Malachite and Swank Janet Egan King (Heidi, Malachite, Swank, Tulips), on powerhouse bass lines & dirty-sweet harmony backing vocals; Charles Hansen (Rock Bottom, Tom Baker & the Snakes, Gymnasium, The Handymen) on ferocious lead guitar attack. Jim Janota (Upper Crust, The Bags, Rock Bottom) swings the lumber (dude, are those two-by-fours?) to round out the rock n’ roll assault. It’s punk. It’s power pop. It’s power pop punk. It’s paisley rock. It’s glam metal. The record has it all: anthems, hooks, raw power, big amps, scorching guitars, a massive rhythm section worthy of any arena, and utterly irresistible choruses.